All who ate this cake thought it was delicious. I substituted 3/4 cup gooseberries since I didn't have enough cranberries--no one noticed the difference. The only quibble is with the glaze; the amount of liquid called for was not at all enough. My confectioner's sugar was organic-perhaps that made a difference since it is texturally different than regular conf. sugar. 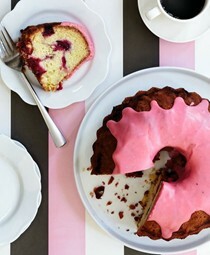 And the color of my glaze was a very pale imitation of the bubblegum pink of the recipe photo. But otherwise a tender, tasty cake that will be made again. The directions call for a 10 cup bundt pan. There was too much batter, and the cake overflowed in the oven while baking. A 12 cup bundt pan would work better. The cake was delicious though. Refreshingly light-lemony cake, perfect with some macerated berries. Lemon isn't normally my favorite cake flavor, but this is not overpowering, We did find the texture to be crumbly & just a little dry (possibly the fault of the baker?). The icing adds a necessary touch of overt sweetness; without it, I would think the cake rather ordinary. Young & old alike enjoyed it. This is a delicious cake that was very popular, and as easy to make with frozen cherries as fresh, as the cherries are cooked on the stovetop. The glaze did not add much, and in future I'd simply dust the cake with powdered sugar instead. 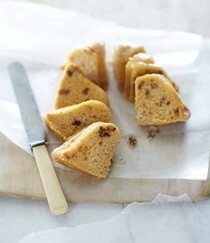 Delicious cake, moist & rich. A hit with everyone. Certainly not low fat, but a nice indulgence one in awhile. Very chocolate-y flavor, moist cake, although it cracked into 3 separate pieces by the time it was served. Perhaps this was because the bottom wasn't level, but that doesn't happen with a non-vegan cake. 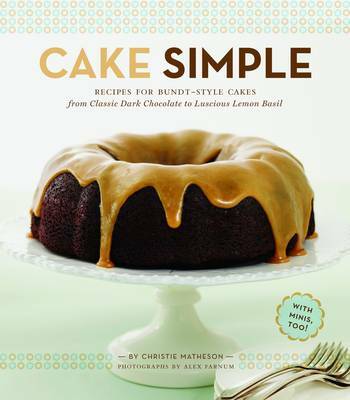 ...This chapter features more "gourmet" recipes with a more modern flair, which is great and helps set the book apart from other bundt recipe collections. There are just enough recipes to do something fun, but not so many that you feel overwhelmed with choice. It feels like a bright, creative, well-edited little collection of recipes. 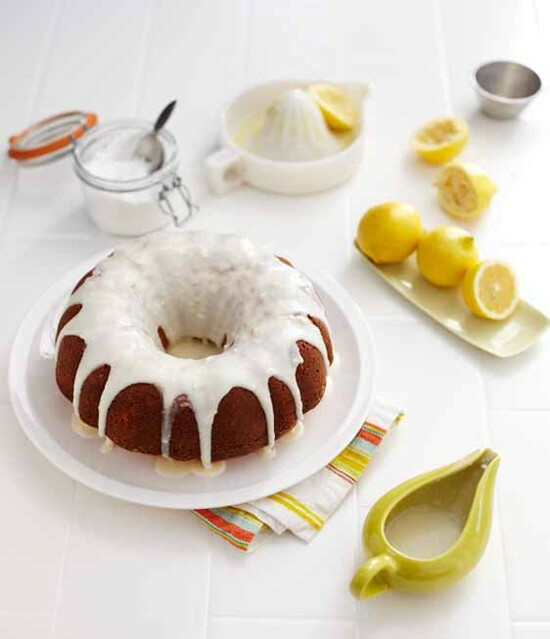 Bundt-style cakes appeal to everyone busy home bakers appreciate how simple they are to make, and cake lovers adore the endless (and delicious!) variety of shapes and forms they can take. This collection of more than 50 recipes delivers retro fun with a sophisticated spin, offering everything from nostalgia-inducing classics and decadent indulgences to adorable minis and even vegan versions of this eponymous treat. Enticing photos throughout showcase these whimsical, irresistible desserts and will have anyone with sweet cravings begging for this circular sensation!